Have you ever wanted to listen to those new songs that you just added to your music iPod library, but are having a hard time locating them within your huge collection of music? 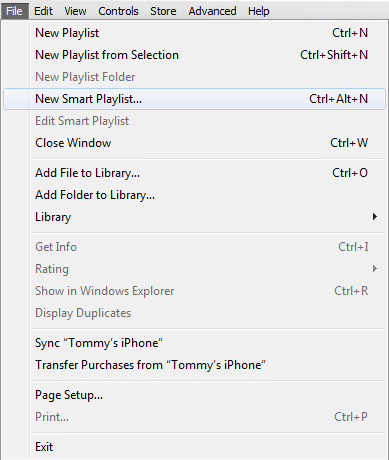 Here’s a quick tutorial of how to create what is called a Smart Playlist. The below instructions will create a Playlist of music that you’ve added within the last month, and will automatically update itself the next time you plug your device in to your computer. This is just one example of many possible Smart Playlist combination’s. Launch iTunes (unless it auto starts at plugin). 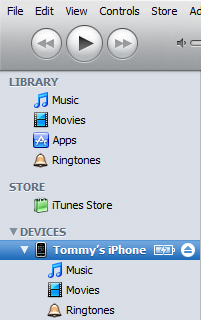 Select and highlight your iPhone/iTouch within iTunes in the left pannel under devices. Name your newly created Playlist. I named my Playlist “Recently Added”. Note: if you use syncing as a way to add music to your device (everything will be greyed out), and not manually managing your music like I do, create a Smart Playlist within your iTunes library and sync it.